Onion jam can be used on anything and everything. This recipe adds so much depth and flavor to any dish. Spread it on a sandwich, have some on the side of grilled chicken or beef, or toss it with roasted veggies. The sweet, tangy deep flavor of the jam adds so much depth to anything you put it on. Start by washing the onions and drying them. Place them into a slow cooker to cook nice and slow for several hours. This slow-cooking process is what develops all those beautiful earthy flavors. Cooking onions in the skin allows them to steam and roast in their own juices, locking in all of that goodness. 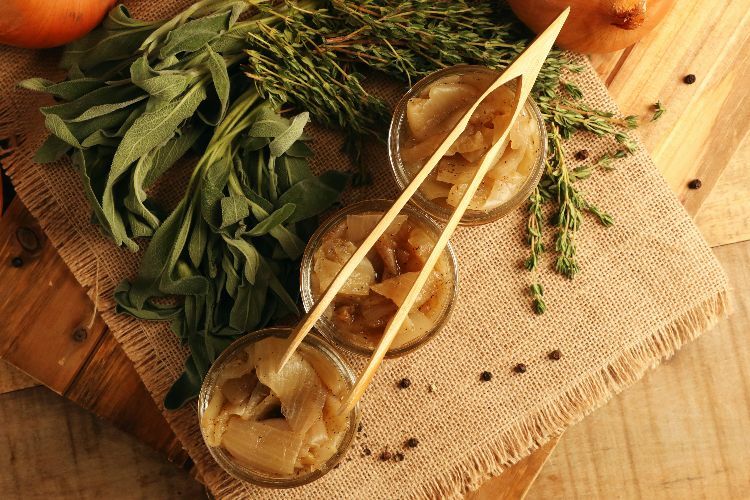 The sugars in the onion begin to caramelize with the addition of brown sugar and apple cider vinegar. You'll find yourself putting this delicious jam on everything. Wash onions in cool water and pat dry. 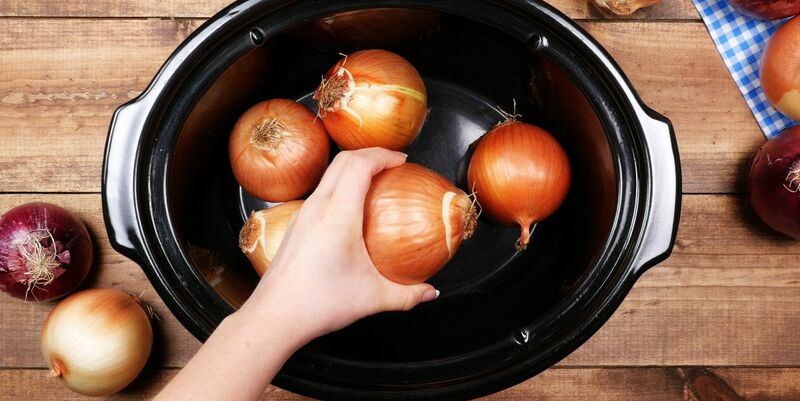 Place onions in a 6-quart slow cooker and cook on high for 5 hours or on low for 8 hours. Gently remove the onions from the slow cooker and allow them to cool down and rest for 15 minutes. Gently cut open the skin with a knife and scoop out the cooked onion inside. When all the flesh is removed, discard the skin and run the knife through the onions to chop them up a bit. Put the onions into a bowl and mix together with the remaining ingredients. Store in mason jar or a container with a tight lid. Will stay fresh in refrigerator for up to 2 weeks.